Do you ever struggle to find ways to add more photos to your pages? 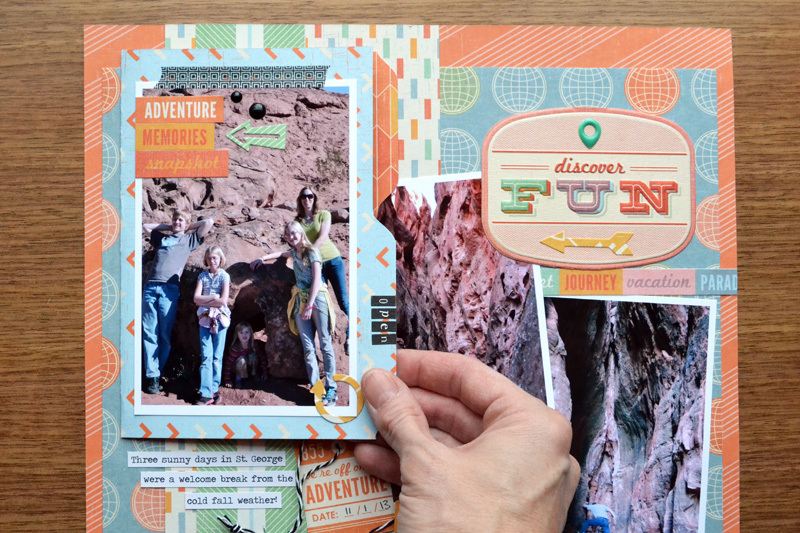 One of my favorite ways to add extra photos is with interactive elements such as the mini file folder on this travel page I created using the Envelope Punch Board and the Jet Set collection. 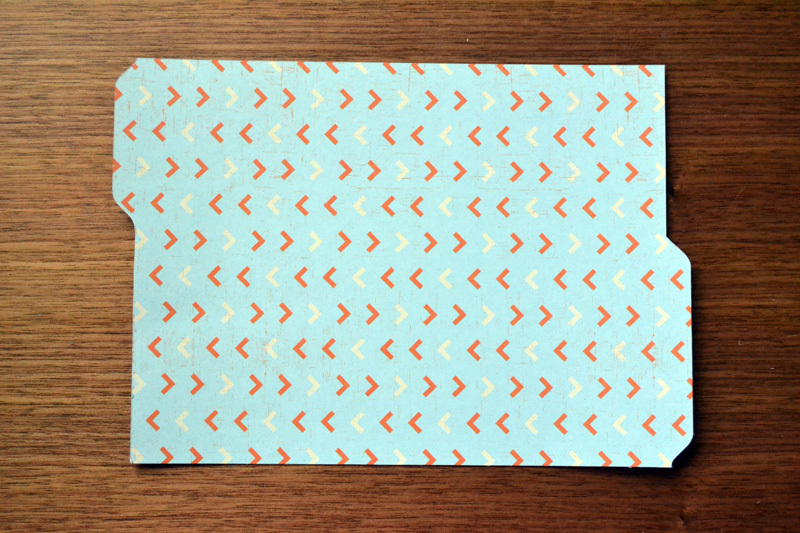 The front of the file folder holds a 4×6 photo and some embellishments. 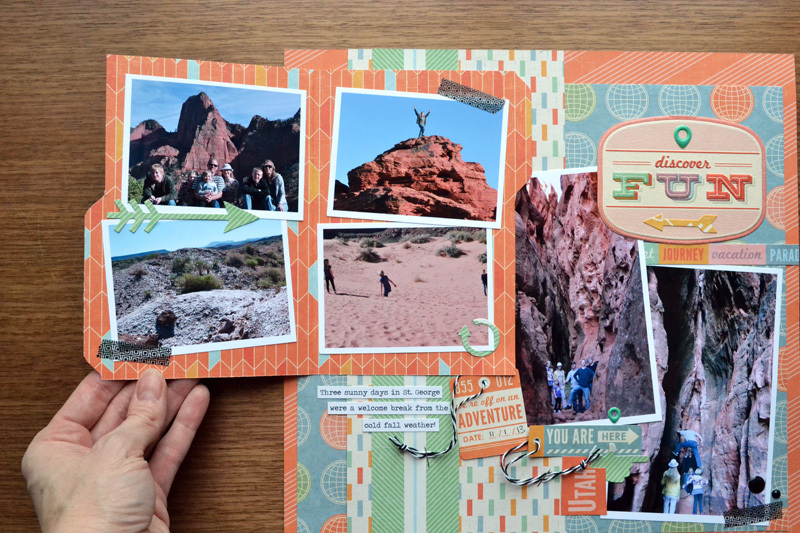 The inside of the file folder holds four 3×4 photos–that makes 7 photos on a single page! 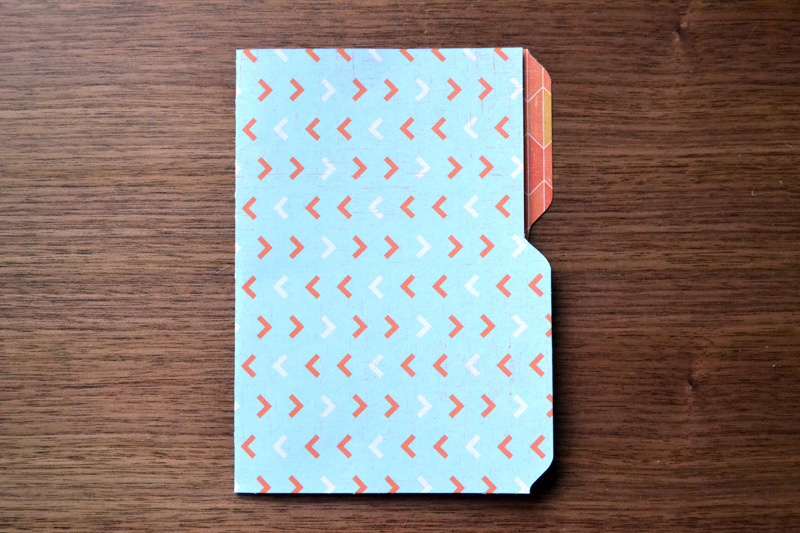 You can create handy mini file folders like this one in any size for just about any project using the Envelope Punch Board. Let me show you how. 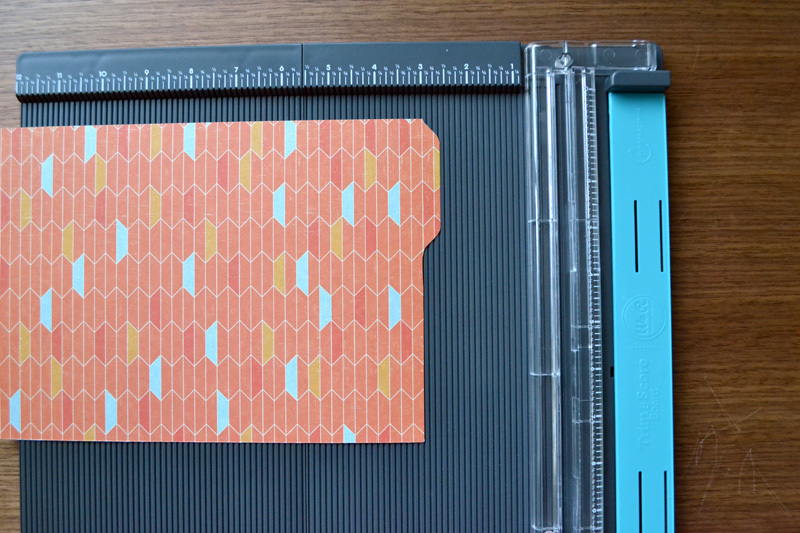 Start by cutting a 7×10 inch piece of paper. 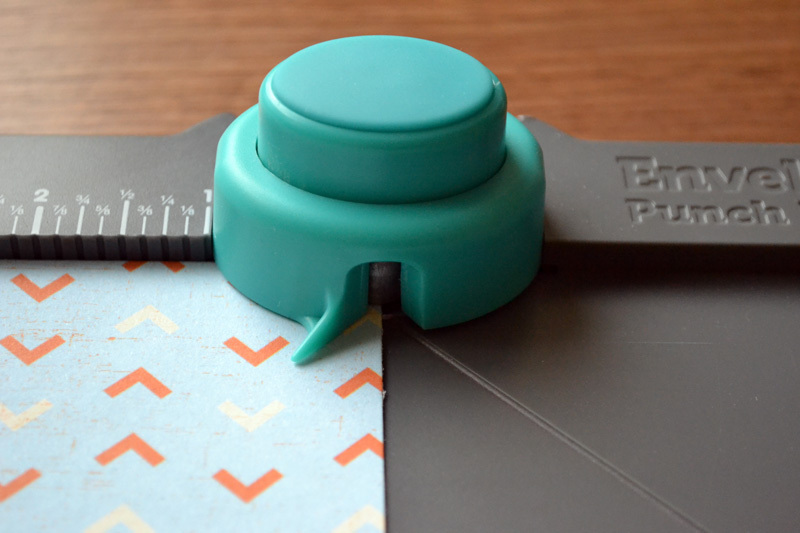 Place your paper in the Envelope Punch Board upside down with the 7 inch edge at the top of the board. Center the left corner in the board as shown in the photo above, and punch. 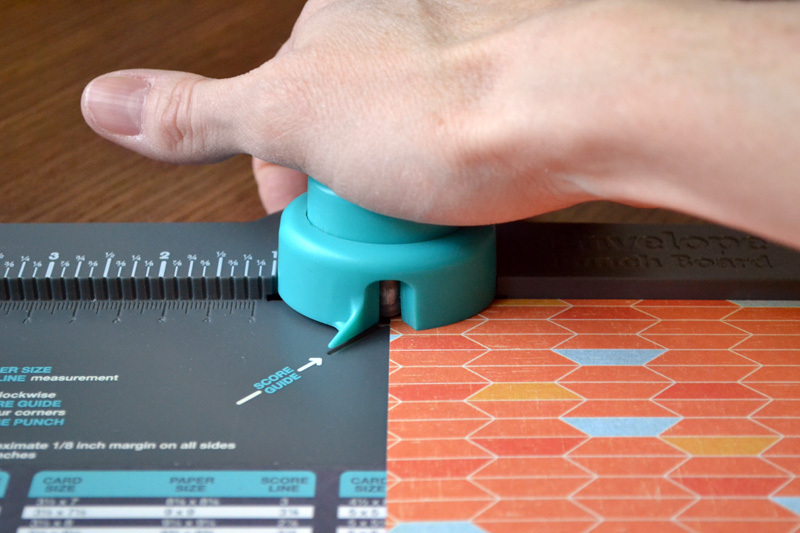 Move the left edge of the paper over, line it up with the 3 inch mark on the board as shown above, and punch. 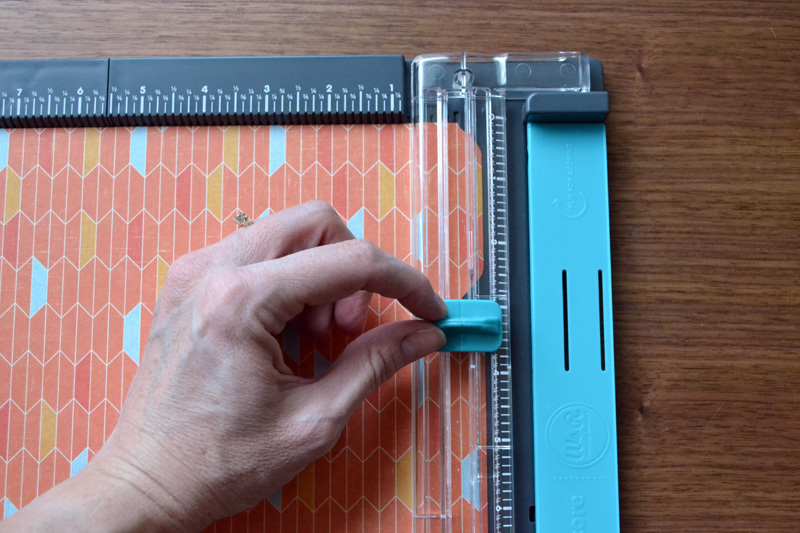 Trim off the bottom tab by lining up the trimmer blade in the valley you punched with the punch board, as shown in the photo above, and moving the blade downward. You’ll end up with one tab on your paper like this. 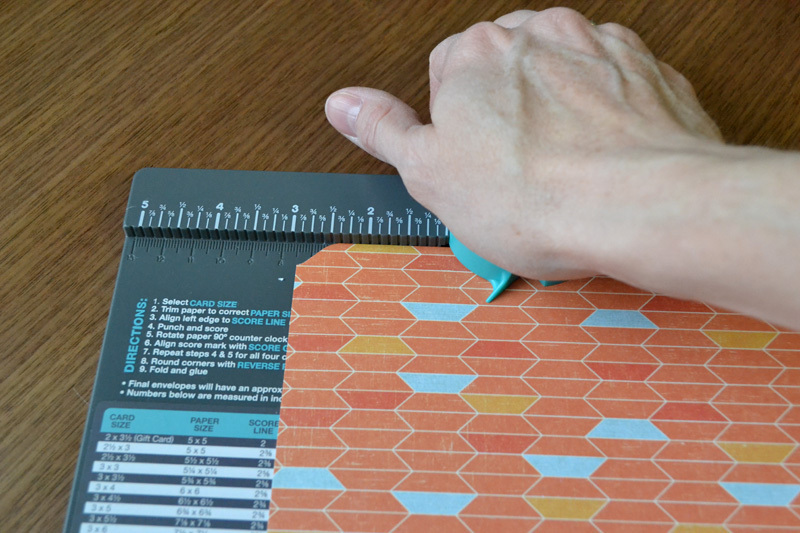 Now flip the paper over and place the other 7 inch edge at the top of the board with the left corner lined up at the 3 inch mark, then punch. 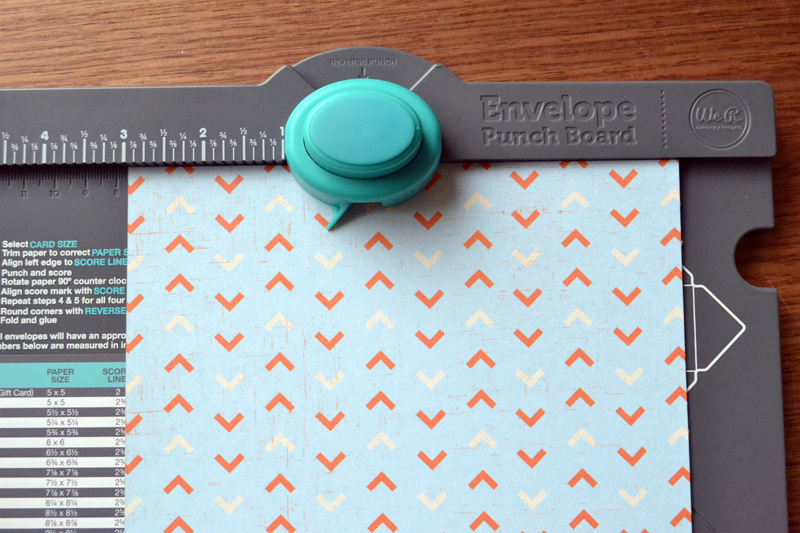 Move the paper further to the left so that the right corner is centered on the board as shown above, and punch. Then trim off the top tab by starting the trimmer blade in the valley you punched with the punch board and moving the blade upward. Your paper should end up looking like the photo above. Then fold the paper in half to create your mini file folder and add your photos, memorabilia, and embellishments as desired. 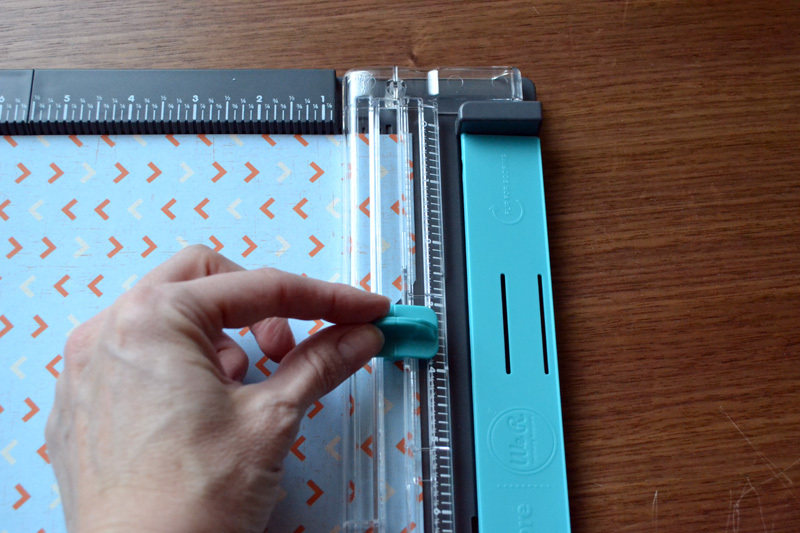 Place the completed page with the file folder into your page protector so you can mark with a dry erase marker where to cut a little window in the page protector to allow access to the file folder as you browse through your album.